Here in South Carolina, some of us dread the summertime. Not just because of the heat -- although some years, that’s reason enough -- but because of the bugs. Mosquitoes, ants, and roaches can quickly infest your home come summer, and it’s essential to take the steps to combat them in advance. But did you know that winter comes with its own set of pests? It’s true: wintertime pest control is an important consideration, especially here in the South. Don’t worry, though: it’s possible to keep your home pest free, so long as you take the right precautions. Keep reading to find out everything you need to know about wintertime pests. To some people, mice are adorable and harmless little creatures. To others, they’re downright frightening. But regardless of whether or not you’re scared of mice, it’s important to keep them out of your home. Mice commonly show up in attics and basements, where they’ll build nests and take up permanent residence in your home. Once they’re settled, mice will begin to chew through drywall, electrical wires, and soft wood in your home. Thanks to their tendency to drop feces and urine throughout your house, they’re capable of spreading serious diseases and bacteria. That’s why it’s essential to ensure that your home stays mouse free. For optimal mouse control, be sure to seal up cracks and holes around the outside of your home. Decluttering your house is also a great way to discourage mice from invading. If you find chew marks, droppings, or damaged food packaging in your home, though, you’re likely dealing with mice. When this happens, it’s time to call a home pest control company for help. Unlike mice, few people consider rats to be pleasant little creatures. They’re big, they’re ugly, and they’re the last thing you want in your home come wintertime! Rats tend to nest in basements, and will sometimes nest in heavily cluttered areas. They can chew through just about anything, too -- even your pipes! Plus, rats are capable of spreading some seriously dangerous diseases. Preventing a rat infestation is therefore extremely important, especially in the winter. The steps involved in proper rat control and prevention are fairly similar to the ones you’d use for mouse control. Be sure to fill any gaps or cracks around the outside of your home where rats could enter, and do your best to keep your basement or crawl space dry. A dehumidifier can do the trick. If you find chewed up wood, plastic, or pipes around your home, or oily marks here and there (from the oil that rats secrete), you’ve probably already got rats. Contact a home pest control company right away. You may not think of raccoons as pests, but they can be a huge problem in the winter when their food sources are scarce. They’ll show up in brush piles, in and around hollow trees, and even in your chimney or attic. Raccoons are one of the most common host animals for rabies, making them extremely dangerous to have around your family or pets. 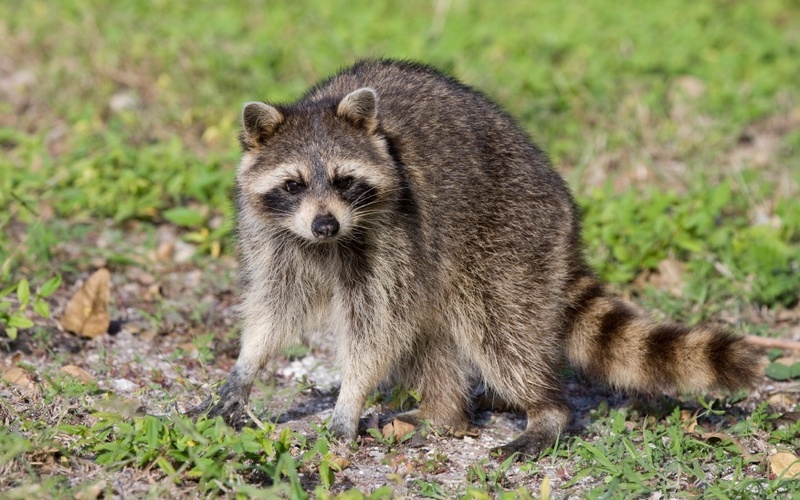 Preventing raccoons involves taking a number of steps, including animal-proofing your trash cans, installing chimney caps (assuming your chimney isn’t in use), trimming back tree branches near your home, and eliminating any other entry points in or around your house. Much like mice and rats, tree squirrels can take up residence in your home. They often show up in attics and crawl spaces come winter, as colder outdoor temperatures can drive them indoors in search of food and shelter. Squirrels can be extremely destructive, and have been known to chew through all sorts of things inside homes. In fact, they often chew through electrical lines -- and this can potentially lead to fires. The best way to prevent squirrels from entering your home is to keep things tidy, clean out your gutters in the fall, and ensure that you seal up any potential points of entry around the outside of your home. 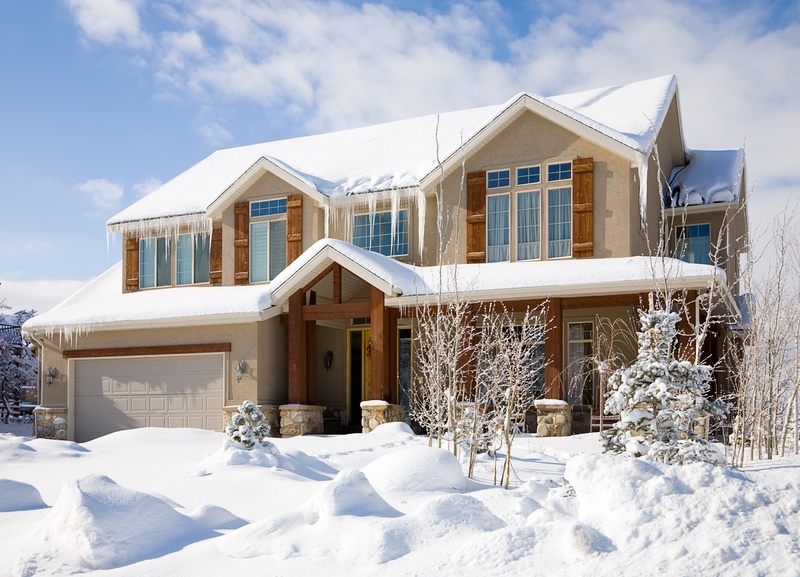 By following these simple tips, you can keep your home free of pests all winter long. Of course, things don’t always go as planned -- and, for that matter, you may already be dealing with a rodent infestation. If so, don’t hesitate to contact us here at Home Pest Control - we’re ready to help! And in the meantime, feel free to check out “Winter Pest Control: the Comprehensive Guide to Winterizing Your Home”, for everything you need to know about preparing your home for the winter.